Over £15million was reportedly spent on signing the one-time Nigerian international in his playing days and besides the 14 clubs he turned out for there were many more potential suitors along the way. The Greenwich-born forward started out in the early days of the Premier League with Norwich City and he would get back there with Leicester City and later Sheffield United. Football is a game of the truest highs and lows and few can appreciate that more than Ade. With over 150 career goals, he was a big favourite at clubs including Wolverhampton Wanderers and Burnley. There were also more testing times that came his way such as the scrutiny he faced while leading the line for top-flight Leicester. What has always shined through with Ade is his incredible mental resolve and character that makes him someone you cannot help but listen to. 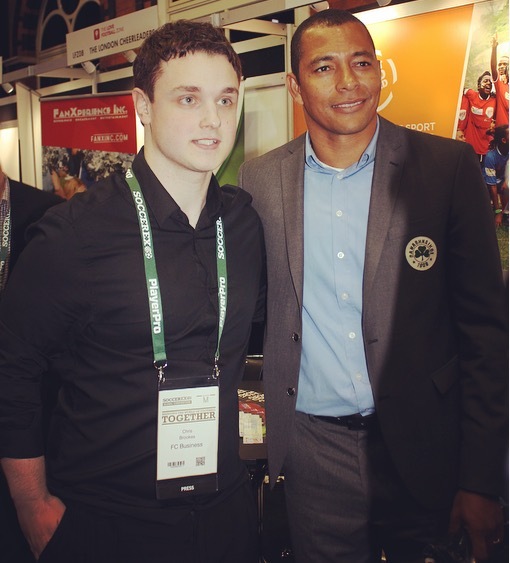 Understandably, he has learned a substantial amount from the game and we talked about life, football and music. In the case of the latter, it opens the door that little bit more to understanding Ade and the ex-Stoke City man explains also how his sound preference has mellowed as he has gained greater perspective over time. “Music is very important to me. I’ve got various uses for it now and I did have during my career too. “After training when I’d be reading a book and relaxing I’d have it on, and when I needed something heavy before a game for motivation. I used to be into hip-hop a lot. “Jay-Z makes a lot of sense to me. He’s like a politician and he uses his music as a vehicle to say something worthwhile. Raised in Hackney, Ade is one of many players who started with Senrab FC before making it professionally. He was thrown in at the deep end for his senior debut with Norwich as they took on German giants Bayern Munich in a November 1993 UEFA Cup tie. The match ended 1-1 at Carrow Road and the Canaries made it through to face Inter Milan in the third round after famously winning 2-1 in Germany in the first leg thanks to goals from Jeremy Goss and Mark Bowen. 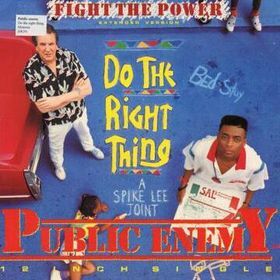 Ade also spent time with Arsenal on his way to making the breakthrough in the game and as a teenager he was taking on board what Chuck D and Flavor Flav had to say as they blazed a trail in the hip-hop world with outspoken political messages. One of the clubs who took Ade to heart was Burnley and he joined the Clarets for £600,000 from Stoke in 2005. His debut did not go entirely to plan as he was sent off less than three minutes after coming on as a substitute in the home game with Sunderland. 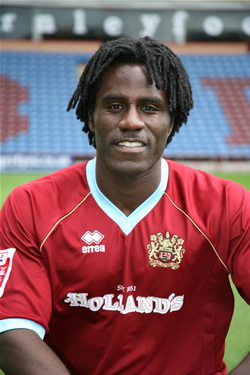 However, his fortunes with the Turf Moor side would take an upturn and he was in superb form in the first half of the 2005/06 campaign, scoring 14 for Steve Cotterill’s team. One of the games always fondly remembered by Clarets supporters is the 3-2 win at Luton on Bonfire Night. Ade hit a hat-trick as Burnley managed to get the three points despite losing keeper Brian Jensen to a red card in the first half. With Danny Coyne out injured it was left to midfielder John Spicer to take over in goal and the victory under the circumstances was very satisfying. Ade’s contribution in that game included an unstoppable right-footer into the top corner as well as winning and converting a penalty. The Danish stopper given his marching orders on that day also takes the ‘honour’ of having the most questionable choice of tunes in Ade’s time with the club. Sheffield United came calling in January 2006 and Ade moved to South Yorkshire for £1.75million, helping the club seal promotion to the Premier League. He worked with Neil Warnock (more of him later) at Bramall Lane but he would be back at Burnley in January 2007. A striker who left the Clarets that month is a player and person Ade knows well, having also worked alongside him at Stoke. The ex-Watford youngster was the man he named as the best when it came to initiation songs. Noel-Williams also spent time in Spain with Real Murcia and Elche before a fleeting return to England with Millwall in 2008. The towering forward went on to represent the Austin Aztex and DFW Tornados in Texas but Ade has remained friends with the Londoner through the years. When asked which of his career teammates he would record a cover version of a track with, Ade had no hesitation in putting him forward for a re-working of one from The Walrus of Love’s collection! The link between music and football is strong, as this site has shown over the last three years, and Ade once expressed his interest in getting involved with the former once his playing days ended. He used to spend time at his friend’s recording studio but you are unlikely to ever hear his vocals on a track. It is typical for new players to be asked (or forced) to sing in front of their teammates when they sign for a club, so did Ade ever have to do this? “Not a chance! I’m one of the worst singers you’ll ever hear. “You used to get the choice of either singing or paying a fine. I just paid the fine! 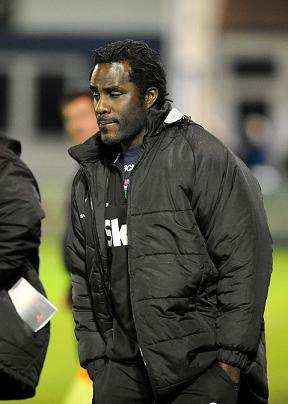 As he mentions, Ade is currently with Colwyn Bay who are 9th in the Conference North and six points off the play-offs. Player-manager at the club is former Chelsea defender Frank Sinclair, someone Ade played alongside at Leicester and Burnley. Sinclair, now 42, joined as a player in January 2012 and took charge of the team in February 2013. He was recently linked to the managerial post at his former club Wrexham but went on to rule himself out of the running. Ade linked up with the North Wales club last summer, three years after leaving Notts County following his time in Major League Soccer with Houston Dynamo. He explains how the role on ex-Jamaica international Sinclair’s staff came about. While he broke through at Norwich, it was under Tony Pulis at Gillingham that Ade really began to make his name. His 22 goals for the Gills in 1997/98 earned him a move up to the second tier with promoted Bristol City for £1.2million. Although the Robins were unable to avoid relegation the following season, Ade’s form continued as he struck 23 times. He got to work with Pulis again briefly as he took over at Ashton Gate but Ade was a much sought-after striker. Although Fulham and Birmingham City offered more money he opted to join Wolves, signing in September 1999 for £3.5million as a replacement for the outgoing Robbie Keane who was moving to top-flight Coventry City. The fans at Molineux were certainly fond of Ade as he scored 16 goals in his solitary Wolves campaign. What came next was his long-awaited return to the Premier League in July 2000 as Leicester City, managed at the time by Peter Taylor, paid £5million to take him to Filbert Street. Although the transfer eventually came to fruition there was an initial hitch and when I asked for the funniest rumour Ade has ever heard about himself he took up the story. “The funniest I’ve heard about myself was when I was travelling to sign for Leicester. The deal didn’t work out at first and not because of money. After reaching double figures in his first season with the Foxes, Ade had some particularly strong criticism to overcome in 2001/02. The season was to end in relegation for the club and in the first few months of the campaign Ade was going through something of a barren spell. In a 4-1 home defeat to Liverpool he missed three good opportunities and his luck was also out when going through one-on-one at Blackburn in the next game. What I’ve always admired about Ade is his mentality and he has never shirked responsibility or gone hiding when things got tough. He memorably hit the winner at home to Sunderland in the next match and let out all the frustration with a hugely fired-up shirt-off celebration. A £2.2million move to Crystal Palace in February 2002 did not work out as desired but a reunion with former boss Tony Pulis on loan at Stoke was the reinvigoration he needed. It was Ade’s header in the last-day encounter with Reading in May 2003 that kept the Potters in Division One in front of a jubilant Britannia Stadium crowd. In the Stoke matchday squad that afternoon were three past interviewees on here – goalkeeper Mark Crossley, defender Wayne Thomas and striker Chris Iwelumo. Moving to the club permanently that summer, he scored ten times in 2003/04 and had netted seven goals for the campaign before he moved to Burnley in February 2005. As touched upon earlier, his transfer to Sheffield United meant working with manager Neil Warnock. One of English football’s most colourful and controversial characters, Warnock had wanted to sign Ade for some time before. A number of his former players have shared their views on him on this site including forward Paul Ifill, winger Léandre Griffit and strikers Steve Kabba and Clinton Morrison. While working with Warnock, Ade won promotion and got to play briefly again in the top division. The striking positions at Sheffield United were certainly well populated when Ade joined and fellow forwards at the club included Danny Webber, Neil Shipperley, Bruce Dyer, the aforementioned Steve Kabba, Brian Deane and Geoff Horsfield. Ade shares his memories of ex-Queens Park Rangers boss Warnock. “He’d tried to sign me three times. You always expect that he’ll have a lot of players there and you might not always play – that’s Neil Warnock. “When we got to the Premier League I had to move on to get an opportunity to play regularly but I did enjoy it there. When I was at Burnley, he was doing a bit of moaning about a tackle and I went over to him on the touchline. Notching the winning goal against Derby at Pride Park on his debut was an excellent way to start for Ade and he also made his mark in the Steel City derby. In the February 2006 clash at Hillsborough, Ade scored the second in the 2-1 win for United over Wednesday, hammering a ferocious effort past Owls keeper Chris Adamson in front of the Kop. It was a great moment for Ade and the away supporters but slightly less so for me as a Wednesday supporter behind the goal! He scored four times in total for the Blades but returned to Burnley to play under Steve Cotterill once more, before latterly working with Owen Coyle. Ade, who made his final Clarets appearance in the 2009 League Cup semi-final with Tottenham, speaks highly of Cotterill. Those were the managers who understood Ade and his best attributes and besides coaching at Colwyn Bay he also has a project in Africa – REGENERATIONfootball, for which he is Academy Consultant. Besides Nigeria, the venture has been set up in Ghana and an ex-Wolves midfielder who was with Sheffield Wednesday earlier this season has also been involved. 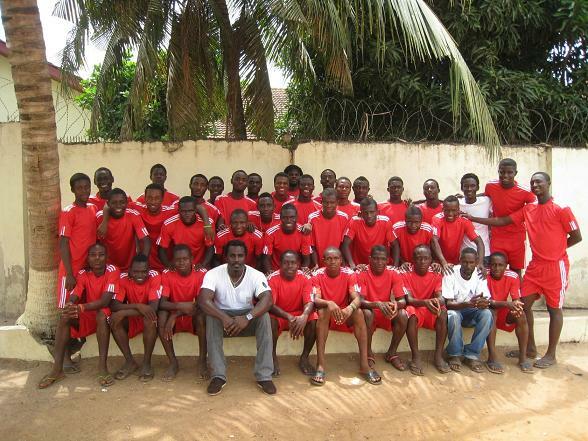 “I’ve been working with Seyi Olofinjana and he’s got a big academy (Imperial Soccer Academy) in Nigeria. He’s bought land over there to give kids an education as well as football coaching. “It’s something I’ve always wanted to do, to go back to Africa. I’ve seen the kids over there and I’ve seen that they’re really talented – if they were here in England they’d be at clubs like (Manchester) United, Liverpool etc. “Unfortunately, some kids give these so-called agents money and they then end up left without a club. What I want to do is speak to the parents and speak to the kids to help them avoid that kind of situation. With well over 500 appearances in professional football it is undoubtedly worth hearing what Ade has to say about lessons he has taken on board from his career. Plenty of players are happy to view the sport as just a job but it was never like that for Ade and he has said before how he has cherished every minute. I asked what kind of advice he would give the teenage Ade Akinbiyi if he got the chance. “Wow, a lot of advice! Probably to have a good education to fall back on if anything happens to you in your career. “I’m not going to say an agent but have someone good who can advise you on what to do when you finish or if you have injuries or illness. I maybe should have listened to my parents more when they asked me to find someone to advise me in my career. One of the memorable moments from Ade’s Burnley career came at Stamford Bridge in the fourth round of the 2008/2009 League Cup. Trailing 1-0 to Luiz Felipe Scolari’s Chelsea after Didier Drogba’s opener, Ade followed up Chris Eagles’ parried shot to equalise in front of the Clarets fans. Burnley went on to win on penalties and although he was wearing white boots when he grabbed his goal Ade has an opinion on some players’ choice of footwear today! In addition to being a father, Ade’s faith takes up a sizeable amount of his time. He also feels he has some worthwhile knowledge to pass on to others and he describes how he wishes to make the most of this. It comes down to the regular final question and it is often the most difficult of all. This one requires the interviewee to get into fantasy mode and select four of the best players they have ever worked with to feature alongside them in a 5-a-side team. Ade introduces his line-up with the Foxes and the Clarets represented strongly! “I’ll go for Ian Walker as my keeper – a great keeper, a good shot-stopper and a very good person. His dad (Mike Walker) also managed me at Norwich. “Defender, I’ll go with Frank Sinclair. Obviously I work with him now and did at Leicester and Burnley but I liked him at Chelsea when he played with (ex-Stoke teammate) (Michael) Duberry and he’s still going strong now at 42! “I might have to choose Micah Hyde in midfield – he’s calm and can pick a pass. Bundles of ability and should have played at the highest level for longer.